A few weeks back, I had the privilege of making pizza with James Beard nominee Kenji Lopez-Alt and Joe Gatto of From Scratch fame. 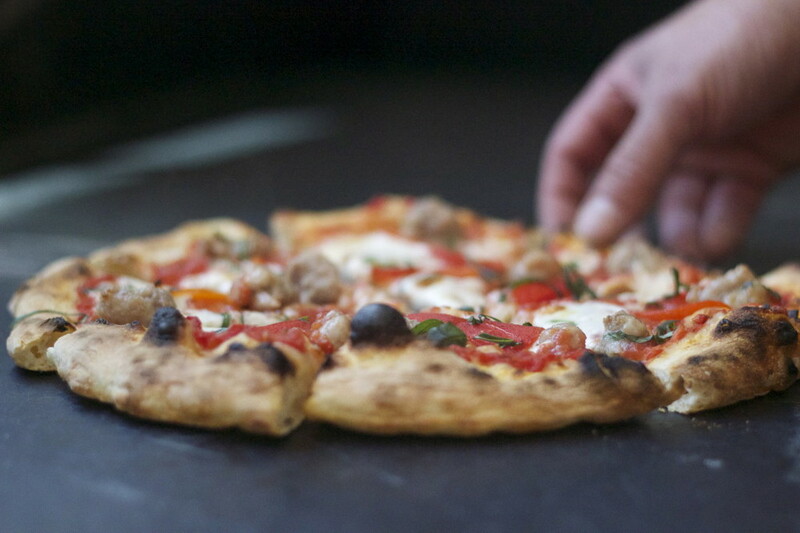 It was a special day where I learned the secret to perfecting sausage pizza. 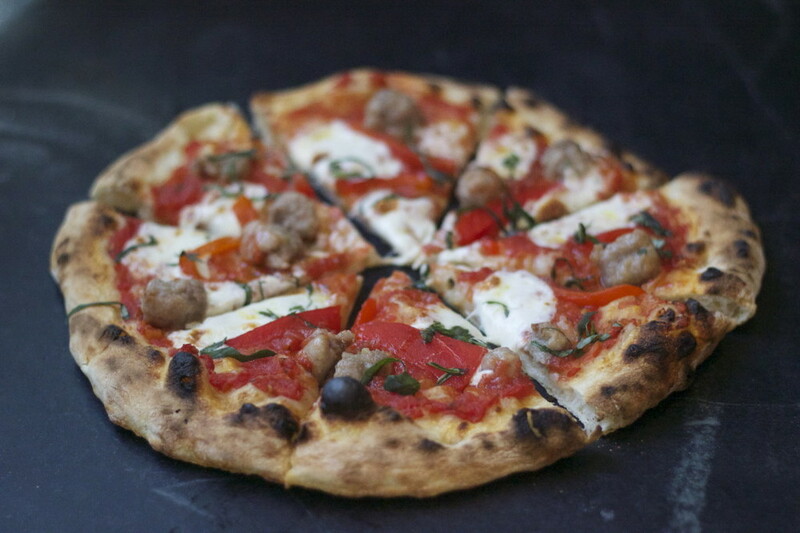 Previously, anytime I made pizza with sausage on top, I would pre-cook the sausage. No more. Kenji stressed the importance of using raw sausage and the flavor it would bring to the pie. I haven't thought much about this previously, I've always been conscience of serving my guests raw sausage. My method has always been to par cook the sausage prior to tossing it on my pizza but I can now say with 100% confidence that after tasting the final results of Kenji's raw method, I will never again precook my sausage. Kenji also offered another clever little secret. 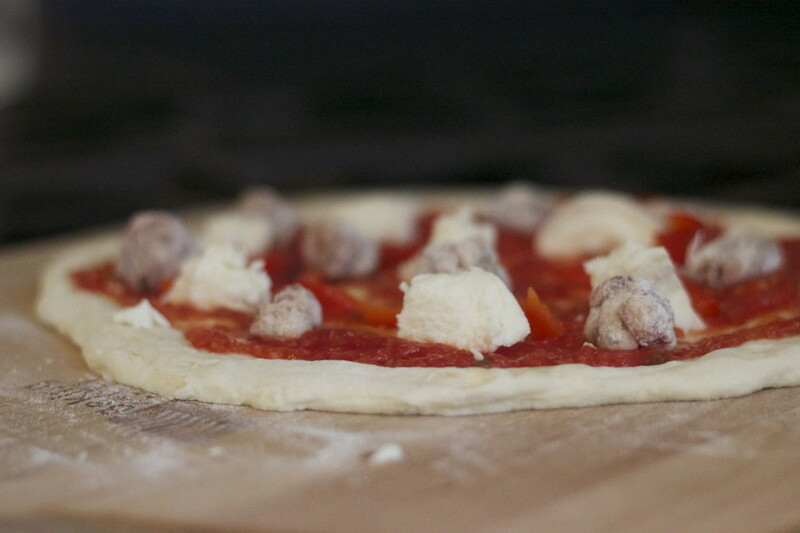 Before placing the it on the dough, take the raw sausage and roll it in flour, this will help promote browning. The moisture from the sausage will seep into the pizza while cooking, and with our Baking Steel, we're talking about a 5 or 6 minute bake. Throw out your stone and try out the Baking Steel. The results will astonish you. 5. Distribute floured sausage on top, and add your roasted red pepper. 6. Launch onto the Baking Steel, bake until you've reached your desired brownness. 7. Remove pizza from oven, add fresh basil and olive oil.